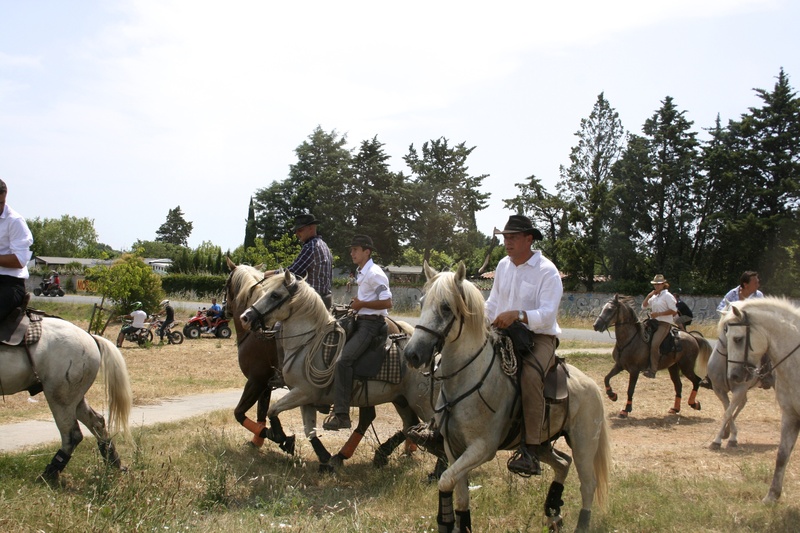 Aigues-Mortes is located in the beautiful Camargue. 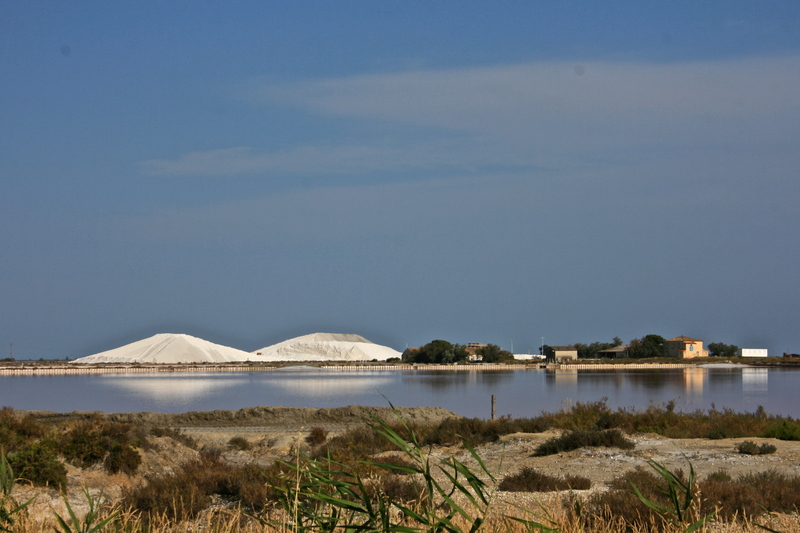 This unique Ramsar protected wetland is a delta that feeds into the Mediterranean sea. Driving down the highway there are ancient indigenous Camarguais horses tugging on dry grass to your right and not-so-pink flamingoes standing in a lagoon to your left. 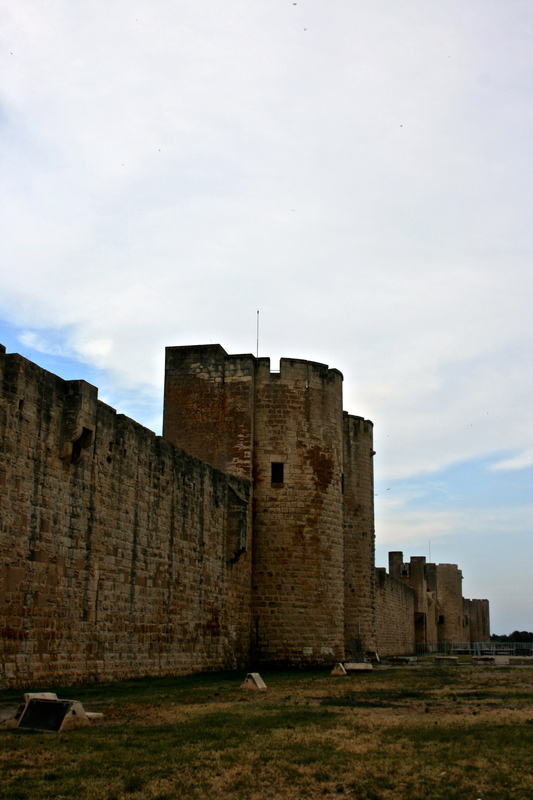 Aigues-Mortes is a medieval walled city kept in nearly perfect condition. 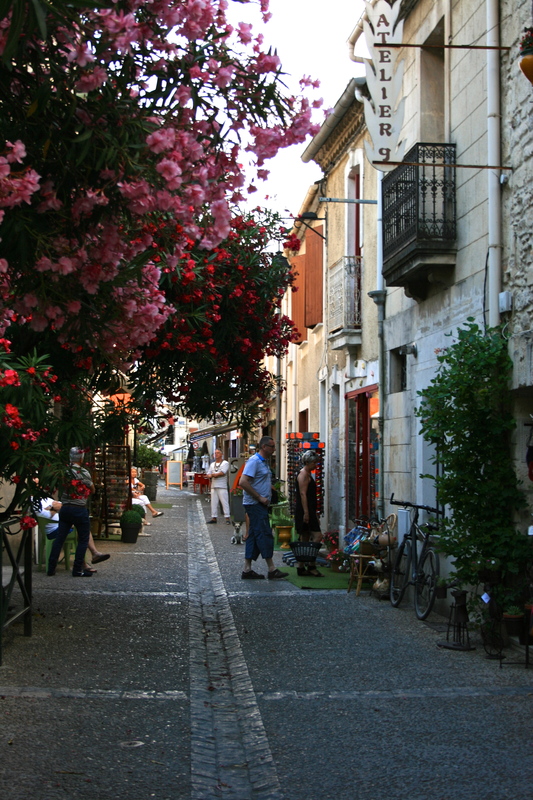 It is one of France’s hidden gems, and it does not have many foreign tourists. Its revenue comes primarily from French families on holiday. This is the ideal location to have a true French experience. 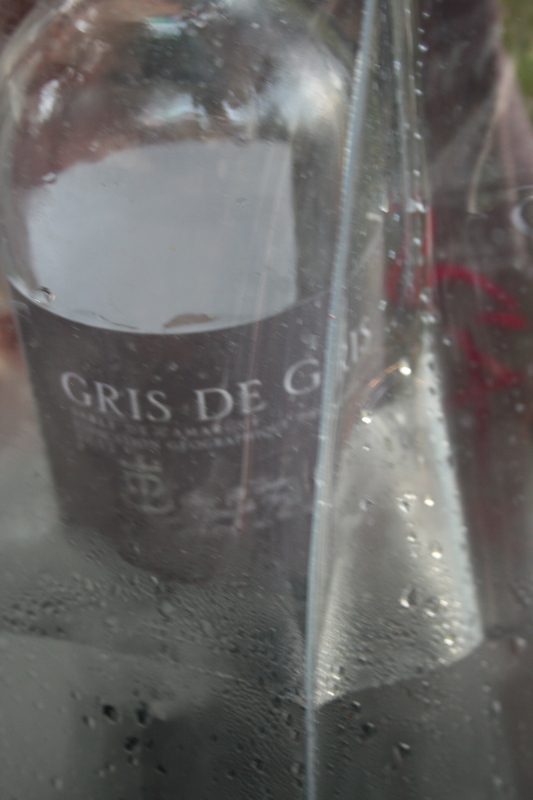 The wine famous to the area is Gris de Gris (sand wine). It is a rose wine and, to date, my favorite French wine. This trip I paired carpaccio with my favorite sand wine. 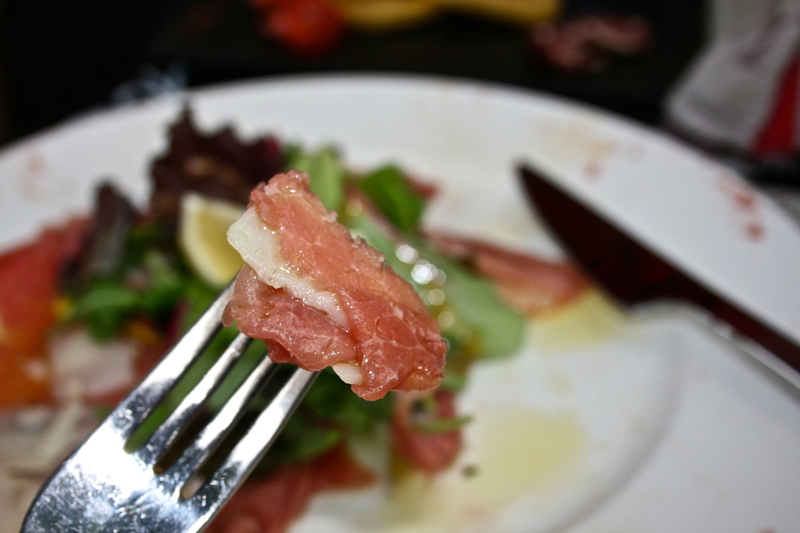 Carpaccio is traditionally made with thin slices of raw beef served with parmesan shavings covered with olive oil. I found the carpaccio and parmesan combination to be rather delicious and the olive oil certainly makes it go down easy. Aigues-Mortes is very pet friendly. Pets are seen throughout the cobblestone streets, and they are welcome inside most cafes, restaurants, and stores. 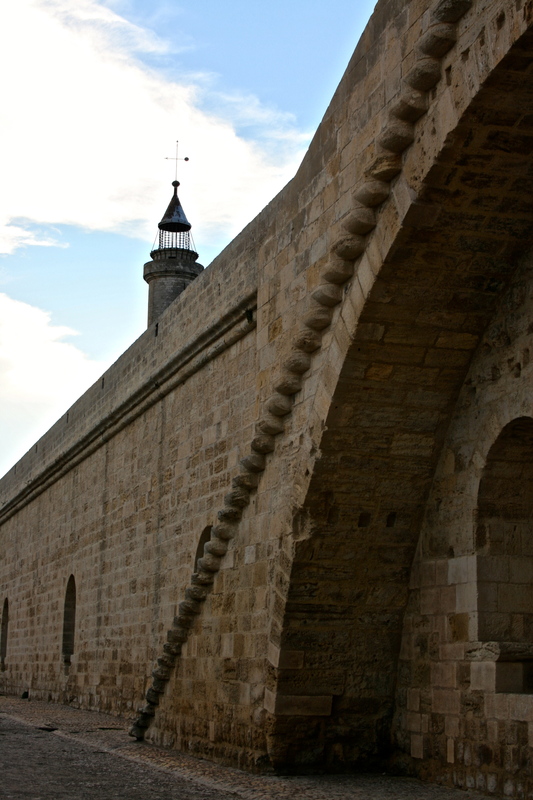 Zala and I stayed at Hotel les Templiers. 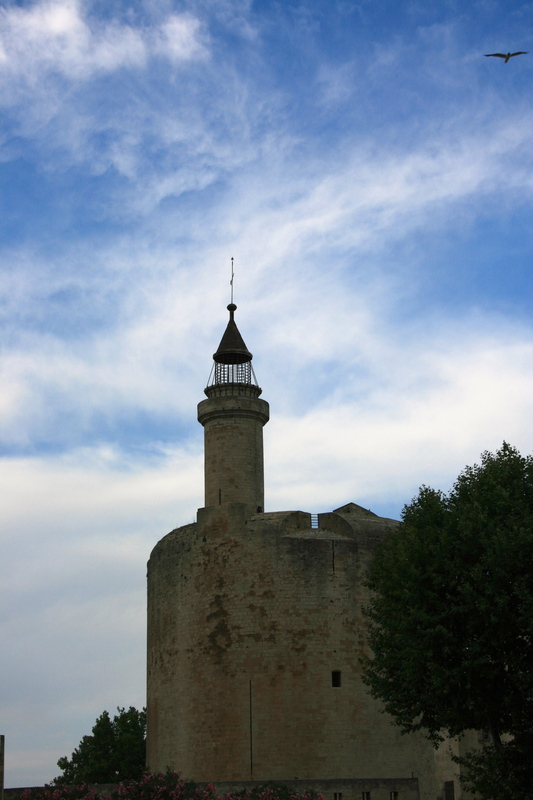 It is centrally located within the walls of Aigues-Mortes, and the beautiful stone building holds true to Aigues-Mortes medieval style. 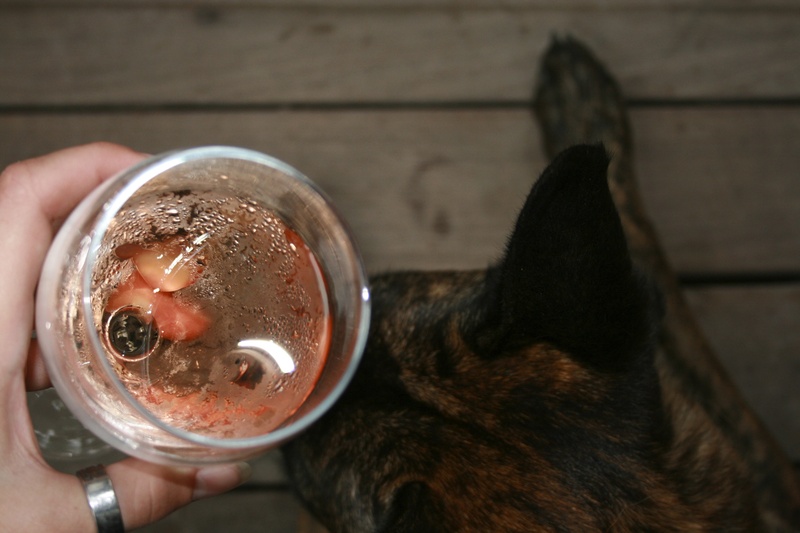 The owners are laid back and friendly, and they even have a resident bulldog that lounges around. Make sure to take time to explore the fascinating niche of medieval shops. They supply the most authentic collections of medieval costumes I have ever seen.